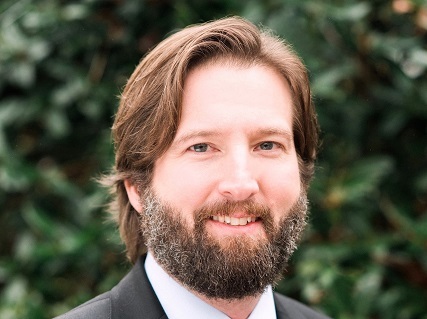 Atlanta Real Estate Forum congratulates John Royer, managing attorney at O’Kelley & Sorohan, for winning Attorney Professional of the Year at the 2018 OBIE Awards. Presented by the Atlanta Sales and Marketing Council, the OBIE Awards are the premier awards given in the Atlanta new home construction industry. John and his firm pride themselves on competent, accurate, high-quality work and exceptional service. John manages two law offices and is a member of several executive and advisory boards. His files include builder property acquisitions, new construction sales, resale property files and private individual construction files, in addition to corporate builders, financing – even estate/probate and corporate work when required. Most attorneys rely on marketing/PR staff to engage with the industry through marketing, networking and service events. However, John is personally involved in working with builders, realtors, lenders and marketing staffs, and continually participates in the industry/community. He is one of the few, if not only, attorneys present at nearly all board meetings and events (outside of purely networking events). On boards, John is generally the only actual attorney serving! This is true for the Atlanta Sales and Marketing Council (SMC), and essentially such with the Greater Atlanta Home Builders Association (HBA). John has been involved with the HBA and SMC since moving to Atlanta, serving on the SMC board since 2012. He is committed to the industry and encouraged by the strides it has made these past years. He is proud to be a part of a new generation asked to be involved with the organization and help propel it in future initiatives and service of its members. Personally, John has closed over 120 builder transactions in 2017 and supervised and conducted closings for approximately 600 total transactions. These transactions were in smaller areas outside Atlanta’s “hot” markets. So far in 2018, John has closed about 65 builder files. Firmwide, 2017 builder files were well over 1,400 with 2018 keeping up a similar pace. To learn more about working with O’Kelley & Sorohan, click here.